PARIS — When Maurice Levy gathered his most senior executives together in San Francisco this autumn, one of the most obvious items on the agenda was the need to find a new route to dynamic growth. After a run of disappointing financial results, Levy needed a new story to tell. This week he told it. Publicis Groupe is restructuring its business model by breaking down its disciplines into four "solutions hubs" with each client led by a chief client officer, effective Jan. 2. The modification of the company’s business model puts clients "at the heart" of the organization, according to a statement from Publicis Groupe. The company’s current structure is built around the concept of worldwide networks, but those silos will be broken down to offer clients Publicis Groupe’s "entire know-how and expertise through the power of one," the statement added. The performance of the company’s businesses will be judged on client service, with each client led by a chief client officer who will be responsible for all the group's services and skills, no matter the discipline or country. Chief client officer teams will be supervised by a Publicis Groupe chief revenue officer. Starcom MediaVest CEO Laura Desmond will take on this newly created role. The four hubs include Publicis Communications, Publicis Media, Publicis Sapient and Publicis Healthcare. Publicis Communications will be led by Publicis Worldwide CEO Arthur Sadoun. This hub will comprise all the group's creative networks: MSLGroup, Publicis Worldwide, Nurun, Saatchi & Saatchi, Leo Burnett, as well as BBH and Marcel. It will also include the production hub Prodigious. Meanwhile Zenith Optimedia, Starcom Mediavest, Vivaki and the other media agencies will no report in through Steve King, while Sapient’s Alan Herrick continues to lead the Publicis.Sapient group of digital companies. The new role marks Sadoun more clearly as front-runner to succeed Levy at the top of the whole Groupe, though no official decision on succession has been announced as yet. The new client officers will manage client P&Ls and have access to all solutions in the four different hubs, said Publicis Groupe SVP Olivier Fleurot. "It is all about integration and making sure we offer integrated services." "So you have the four solution hubs, with all the products and services, and each chief client officer will be able to organize the right resources, skills, products, platforms, and digital tools they need," he said. Because the company is currently organized by brands, it is hard to coordinate what each one is doing, Fleurot said. Under the new structure each brand, such as Saatchi & Saatchi, ZenithOptimedia, or DigitasLBi, will keep expanding, with its own culture and specific approach to creativity and services. The client-centric structure has echoes of WPP’s client-specific bespoke agencies which draw on the gamut of WPP companies’ expertise. Consolidation will be most pointed - and radical - in the smaller markets where the Group operates. 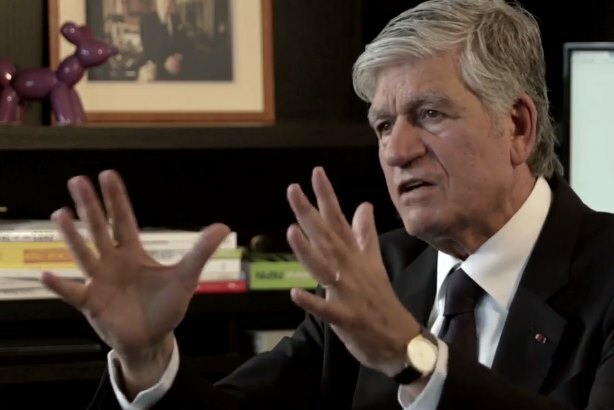 Publicis Groupe generates more than 90% of its revenue in about 20 countries. All remaining countries will now be managed through a dedicated group entity called Publicis ONE, led as CEO by Jarek Ziebinski, who is currently Leo Burnett Asia-Pacific chairman and CEO. In Publicis ONE countries, all entities will be united under one roof and one management team. This is designed to ensure better coordination of all client services while respecting confidentiality. In order to coordinate and best take advantage of the group's assets, a committee will be set up in the main countries where Publicis Groupe operates to represent all solutions. Each will be led by a group representative, the first to be put in place is a US committee led by Desmond. The executive committee will soon be rethought in order to better adapt to the evolution of the group. It’s hard to see the Publicis Groupe restructure as the best outcome for the individual creative agencies and their leaders. However, the official statement insists: "Each Brand, for instance Saatchi & Saatchi, ZenithOptimedia or DigitasLBi, will keep expanding, with its own culture and specific approach to creativity and services. The identity and the success of each of the Groupe’s brands will be preciously preserved and nurtured." Ensuring that’s the case while also serving the demands of a Chief Client Officer who has, perhaps, no cultural affinity to the agency in question will be an interesting challenge. "We are reversing the model and tearing down silos. We will offer clients our entire expertise through the power of one. All capabilities will be available in a smart and efficient way. "We have grown through silos and the coordination of entities has been paramount in serving clients. But it’s become too complex. "We have created the chief client officer role. The CCO will be responsible for the entire range of skills the client can benefit from, no matter the discipline or country. "It will all be powered by a digital platform and, where possible, the dedicated teams will be gathered under one roof. "It will be organized across solutions hubs at the service of the client. All creative solutions [including PR] will be gathered in one hub, all media solutions in another, the same for consumer, technology, or healthcare. "The CCOs will be able to tap into all the hubs to best serve the clients. The group chief revenue officer will coordinate the team of CCOs. Laura Desmond has accepted this newly created role. She will also be in charge of new business. "The mission is to simplify the way we access the range of solutions without duplication and delay to accelerate group growth and development. "Each of the four hubs will leverage shared tools, platforms, and services. This will simplify our process and reduce our costs, thus increasing our competitiveness without compromising the crux of our business. "The functions of these leaders will be broadened and strengthened to allow them to full express their skills. We will bring clients an entire range of skills from each of the disciplines, while breaking down all our silos. "We generate more than 90% of revenue from about 20 countries. Many countries don’t get the attention they deserve – we will now manage these countries through a dedicated unit called Publicis ONE, led as CEO by current Leo Burnett Asia-Pacific chairman and CEO Jarek Ziebinski. P1 will bring together all entities in these countries under one roof and management. "With the acquisition of Sapient we further grew our experience and critical mass in consumer and technology. There is huge disruption in the worlds of communications and marketing. "We have passed the 50% threshold of revenues stemming from digital. Yet, to better serve our clients we ourselves have to go the extra mile in our transformation journey. Clients want us to help them in many different areas - we have to differentiate their brands in a digital world. But they also expect more for less. "We have opted for a new ambition, putting clients at the core of our organization. We want to be an admired force in business transformation, driven through the alchemy of creativity and technology. "Our core business remains building strong and attractive brands for our clients. We have added consumer, technology, and smart data management at scale."